My fabulous friend Kelley Vitollo's Lucky Break is out now in Barnes and Noble, and Amazon. It's part of Entangled Publishing's Bliss line which is for sweet romance. I haven't read Lucky Break yet, but I know it's amazing. I've read several of Kelley's books, and she's beyond talented! One lucky break is all struggling actress Sidney Williams needs. But when living the LA life becomes too much, she heads back to the small town of Shamrock Falls for the vacation she needs to get her life on track—and immediately runs into Kade Mitchell, her former best friend and the boy next door she’s always regretted leaving behind. Kade, the new owner of Lucky’s—once the most popular bar in Shamrock Falls—is determined to bring the place back to its former glory, and seeing Sidney again is a distraction he doesn’t need. Sure, the chemistry between them is explosive, but Kade can’t let himself fall into a fling with his best friend—not when he knows she’s soon heading back to the glitter of Tinseltown. Now, with the possibility of her first major acting role looming, Sidney must decide if her lucky break is in Hollywood or right where she left it—in Shamrock Falls. And if you guys haven't checked out Kevin Hiatt's blog, he's got great, honest posts. His latest one, Time for a kick in the Keister, is very inspiring and we should all root him on with his goals! 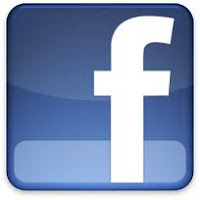 And lastly, I know I'm a bit sloooooow on the whole facebook front, but I just started a page last night, and if you'd like to "like" it, despite the cheesy cover photo, I'd love to be connected over there. 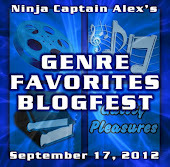 I hope you go check out these awesome sites. Kelley. Mark. Kevin. They are all great supporters in this community. I know I'm lucky to know them. Guest Post And Thank You! Michael Di Gesu is a fantastic writer and friend. Go check it out if you want to hear me ramble about being a writer and staying fit. 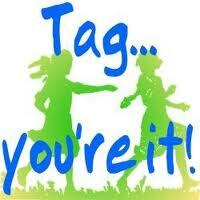 Next, I want to thank Tara Tyler for her kind tag yesterday. I prob won't do the meme, but I wanted to give Tara a shout out. She's also a talent with a fantastic blog. Thanks so much, Michael and Tara! What's on the docket today? New WIP? Revisions? Querying? I know for me it's a day of studying the craft. Gotta take it up to the next level. Favorite Movie: The classics. Anything with Gene Kelly or Fred Astaire. Favorite Music: Anything from the Baroque period. Favorite Books: Diana Gabaldon. (Yes, she is her own genre.) Hands down. Best. Author. Ever. Guilty Pleasure: The Vampire Diaries! Technically it's not a movie, but yup, I'm open about loving it... Can we say Ian Somerhalder? Thanks, Alex, for hosting. It'll be fun to pop around and see who else is participating! And make sure to stop by Michael Di Gesu's blog on Wednesday. 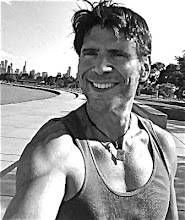 I'll be doing a guest post on being a writer and staying fit! It’s Jolene Perry. Come to chat with Morgan’s peeps. Sheesh. I don’t even remember how Morgan and I met anymore… That makes me a little sad, but she’s so completely and totally awesome and adorable that I’m glad I did. FINALLY I got to meet up with Morgan (like face to face – so she DOES have a life outside my computer. Weird.) at SCBWI in LA, and I swear all five of the women I was sharing a room with wanted to wrap her up and take her home. What I love about Morgan is that the more I talk to her, the more genuine she is. It seems like no one could have the kind of energy that she does and maintain it. BUT SHE DOES. For me, I feel pretty “put together” as a writer. I’m not starry-eyed about the whole process. I know its work. And I enjoy everything from the fresh spark of a new idea, to furiously typing out words seeing where a story goes, to piecing scenes together, to finishing a manuscript, to polishing and sending to betas, to applying beta notes and tightening up, to querying, to subs, to… yeah, not a fan of the rejection part, but the whole process is magic. My biggest insecurity? Or fear? Is that I’m delusional. I’m afraid any compliment I get is a lie. That people are just being nice. I really am dedicated to mastering this craft to the best of my ability, and I want to celebrate each small success, but what if the successes aren’t successes at all? What if they’re just lies? Is my work too far gone for help? Is that why my betas say nice things? Are my mom and family members giving me a pat on the back just because they’re required to? Even agents, when I get a personalized rejection letter full of compliments, are they just being nice? 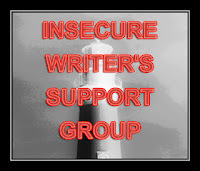 I choose to look at writing like I have potential, that I am having small victories, but heh, this is an IWSG post—and I’m supposed to tell you what I really feel. But I suppose it’s good to have some doubt, otherwise we’d all be walking around like we own the world. Loved that, EJ! All of his posts are great. Anyone else share my fear? Thoughts? (Just don’t tell me I’m delusional) ;) And now I’m off to go check out the other IWSG posts. They’re always fun to read.